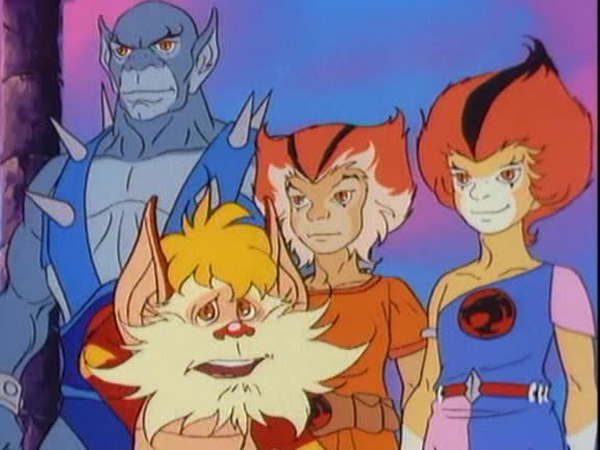 Just like a multitasking single parent, the ThunderCats cartoon show managed to do a lot of things at once. The show served to entertain children, acted as a prolonged toy commercial, and most importantly, instilled positive values in young viewers. While the four pillars of the Code of Thundera – justice, truth, honor, and loyalty – were often the cornerstone qualities preached by most episodes, the value of true friendship also runs deep, as is evident in this installment. 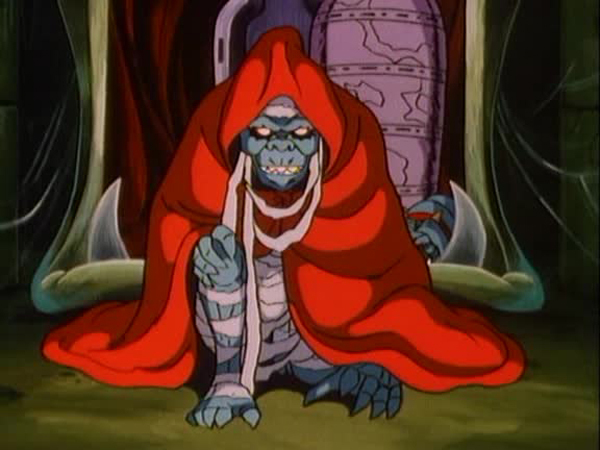 With their patience running thin, the Ancient Spirits of Evil command Mumm-Ra to carry out yet another bizarre scheme to destroy the ThunderCats. Their instructions are punctuated with visuals bubbling up from Mumm-Ra’s cauldron, depicting the Double Headed Dragon of Doom, a tiny statue bewitched by an ancient samurai’s disapproving father-in-law to be. The cursed statue came to life and grew to an enormous size before devouring the samurai and shrinking back to its original dimensions. We learn that a young Jaga had rescued the trapped samurai and kept the dragon statue in the casket holding the Treasure of Thundera. Unfortunately, when the Sword of Omens broke the casket, the statue was scattered over New Thundera along with the other artifacts. 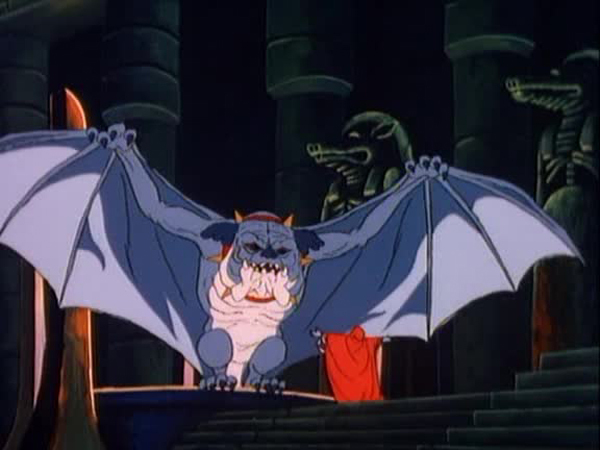 The Ancient Spirits of Evil order Mumm-Ra to unleash the dragon upon the ThunderCats. 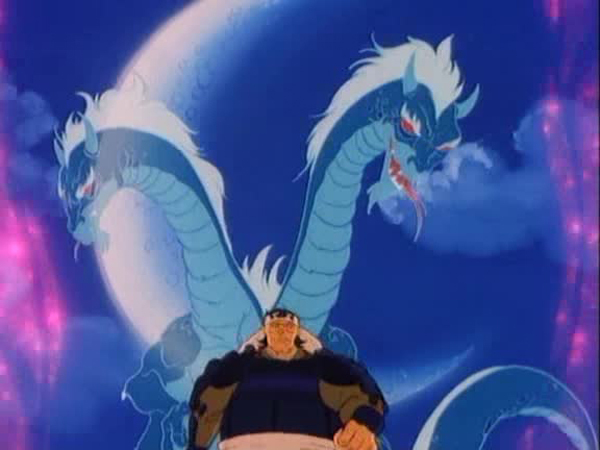 Sleeping in his humble abode on his home planet, Hachiman has a terrifying premonitory nightmare of Lion-O being eaten by the Double Headed Dragon of Doom. 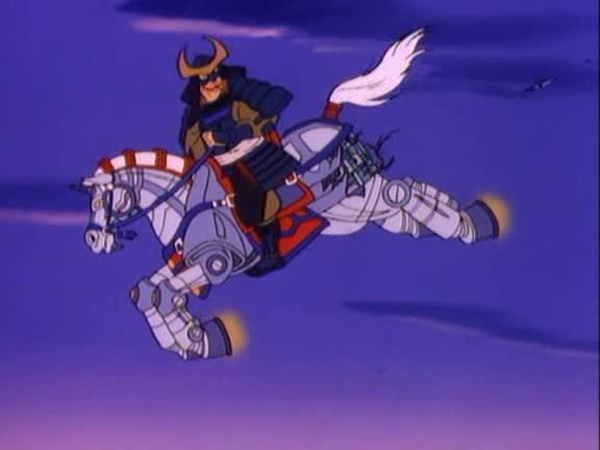 He rushes to the aid of his friend while riding his mechanical horse, Doji-Kage, but is attacked en-route by Ma-Mutt who has been transformed into a giant bat by Mumm-Ra. Even though Ma-Bat destroys the robotic steed, Hachiman proves to be more than a mouthful and the hound retreats, leaving Hachiman to free-fall onto New Thundera. 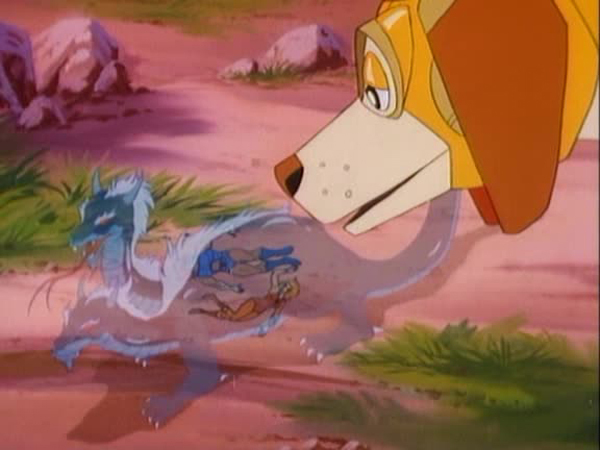 At an excavation site on New Thundera, the robotic dog Scooper helps Lion-O and Cheetara uncover the Double Headed Dragon of Doom statue. 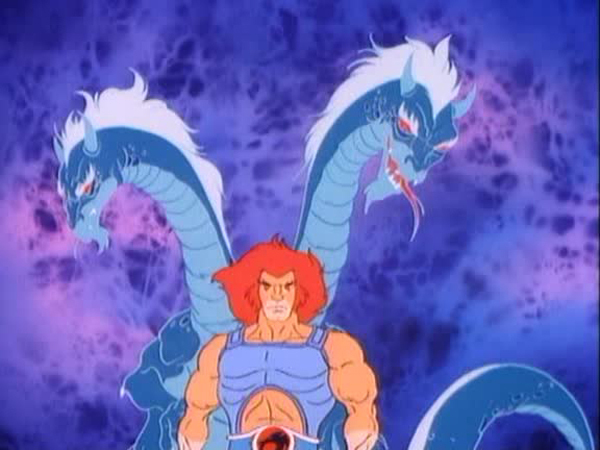 Mumm-Ra seizes this opportunity and from his pyramid, activates the dragon who grows exponentially and promptly swallows the two ThunderCats in one gulp. The dragon then contracts to its inert state, shrinking the two victims in its belly as well. Hachiman arrives at the scene and upon seeing the predicament of his friends, goes after the source of all the trouble, Mumm-Ra. With a little help from the spirits of his ancestors, Hachiman is transported into Mumm-Ra’s pyramid where he defeats the vile villain in a duel and then returns back to New Thundera to free the diminutive Lion-O and Cheetara by bisecting the tiny dragon statue. 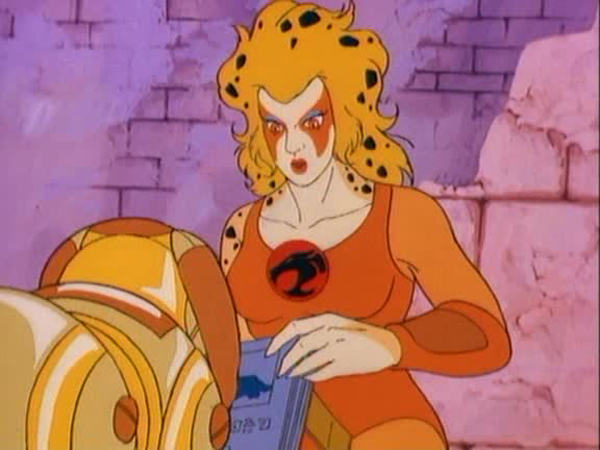 Things heat up when Mumm-Ra materializes and attacks Hachiman but Lion-O shouts the ThunderCats chant and the Cat signal not only sends Mumm-Ra packing but restores the two ThunderCats to their normal sizes. 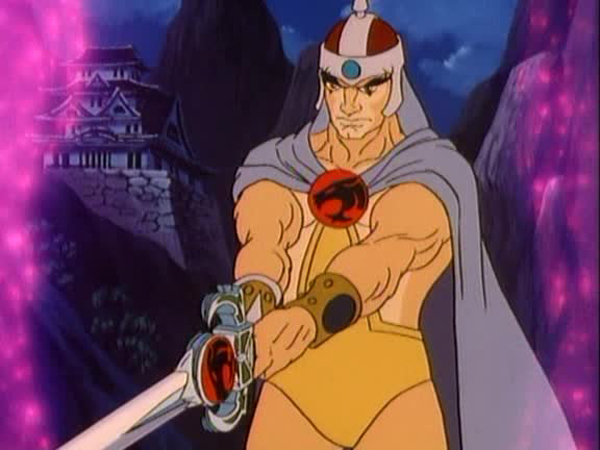 Out of the numerous allies and friends that the ThunderCats make during their adventures, none stands out as much as Hachiman, the star of this episode. Just like Lion-O, this fierce samurai warrior wields a powerful sentient sword and like the ThunderCats’ Code of Thundera, the samurai’s Code of Bushido dictates every aspect of his life. 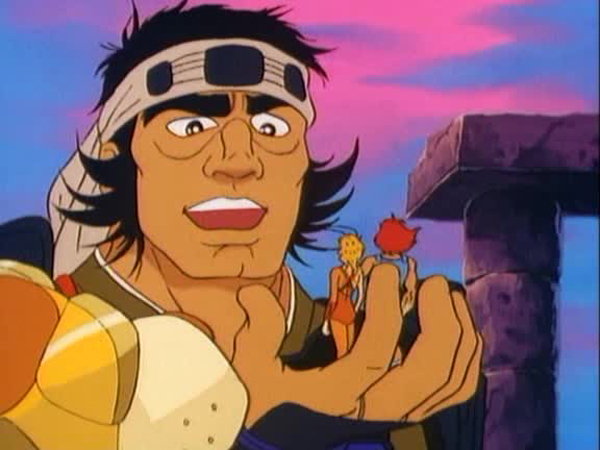 It is perhaps these similarities that make both Lion-O and Hachiman truly appreciate and respect one another. 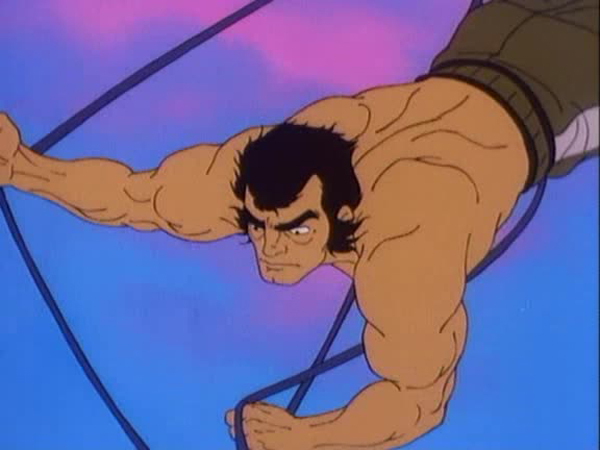 “The Jade Dragon” is one of the rare instances where a secondary hero dominates most of the screen-time while the ThunderCats are relegated to a supporting role. 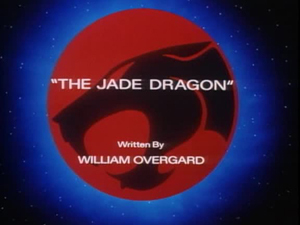 This episode has all the earmarks of a typical William Overgard script. From the blatant disregard for the laws of science shown by characters breathing freely in space, to the introduction of wacky new characters such as the robotic horse Doji Kage, this episode has it all. Fortunately, unlike some of his other works, Overgard does not overload the episode with eccentricities and strikes a decent balance between crazy and conventional. The result is a fun and exciting episode. 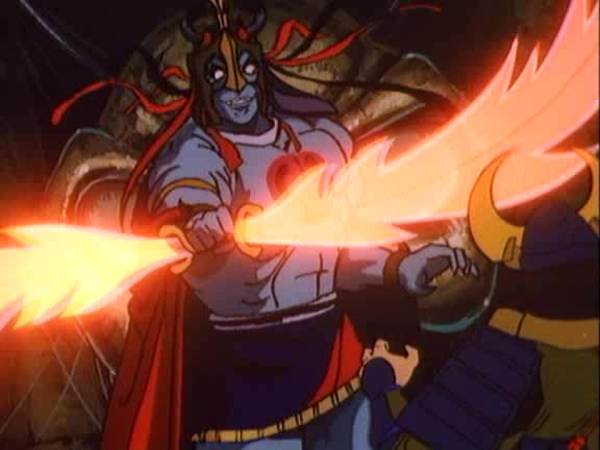 Mumm-Ra mentions that Hachiman is as ancient as he is. The ancient samurai that the Ancient Spirits of Evil talk about looks identical to Hachiman. The episode also reveals that Hachiman hails from the Planet of the Red Sun. This could be a nod to the comic character “Superman” who originates from Krypton, a planet that also orbited a red sun. The scene showing the Sword of Omens breaking the casket holding the Treasure of Thundera and scattering it all over New Thundera is from the earlier episode “ThunderCubs – Part IV”.